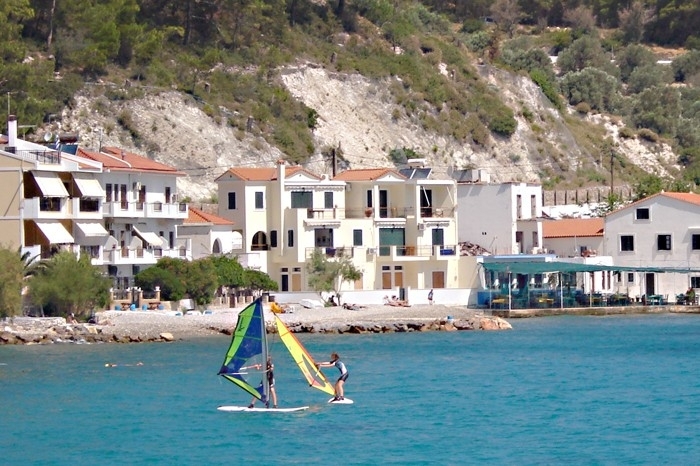 Samos is stepping up their services this summer with a new teaching area for beginners (ensuring flat-water and sheltered conditions) which is only 10-15 minutes drive away from the centre and from Halcyon Hills with a complimentary shuttle service provided by Samos windsurf centre. With brand new 2010 kit including pro-edition for more intermediate and advanced surfers plus a new ramp with anti-slip rubber matting for easy entrance/exit to avoid any stones. There is also an exciting new treehouse by the main saling area ideal for kids to enjoy at their leisure.